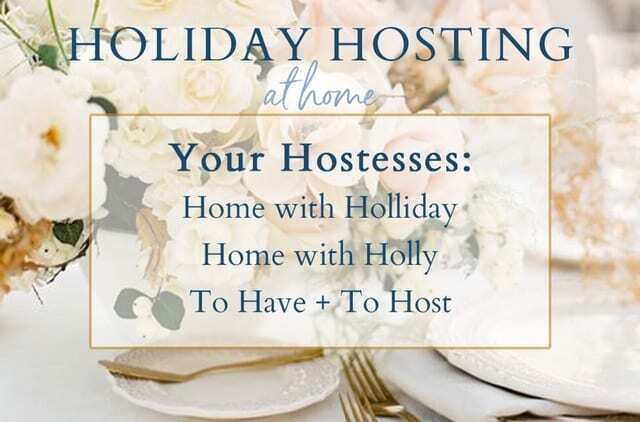 Here is the first installment for Holiday Hosting at Home blog hop! There are a handful of ladies that I’ve met that love to do the same things I do when it comes to hosting and entertaining. When we all spoke on the phone for the first time about teaming up to share our ideas, we all felt like we were speaking the same language! I think I may have found my soulmates! With that being said, I am so excited to introduce our new blog hop, Holiday Hosting at Home – Fall Home Decor and Tablescapes. I’ve admired and gained inspiration from many different blog and instagram accounts over the years so when you actually get to connect with the real life people behind the blogs, it’s really great! 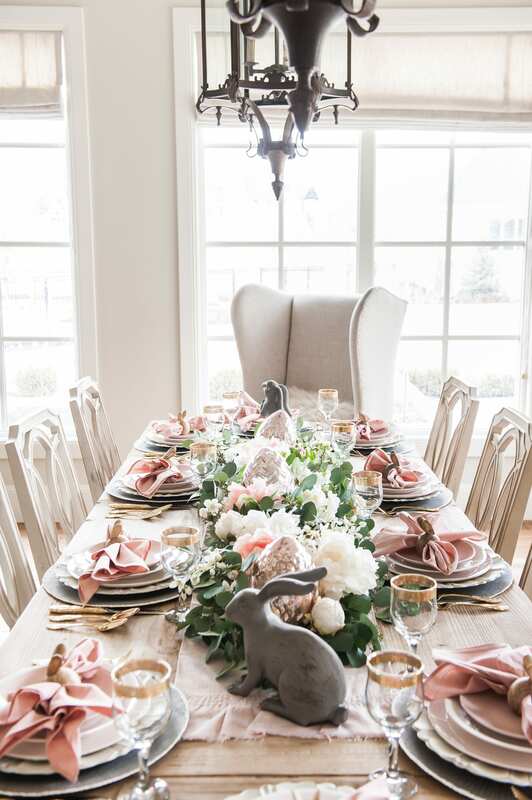 These ladies love to create beautiful tablescapes and gather their friends and family as much as I do. We all love creating warm and beautiful spaces to gather those we love. It’s was so fun coming up with ideas as to how we could share it all with you. I hope you’ll enjoy the inspiration that we’ve each created. Meet Home with Holliday. She also goes by Holly! We have much in common as well as our names! 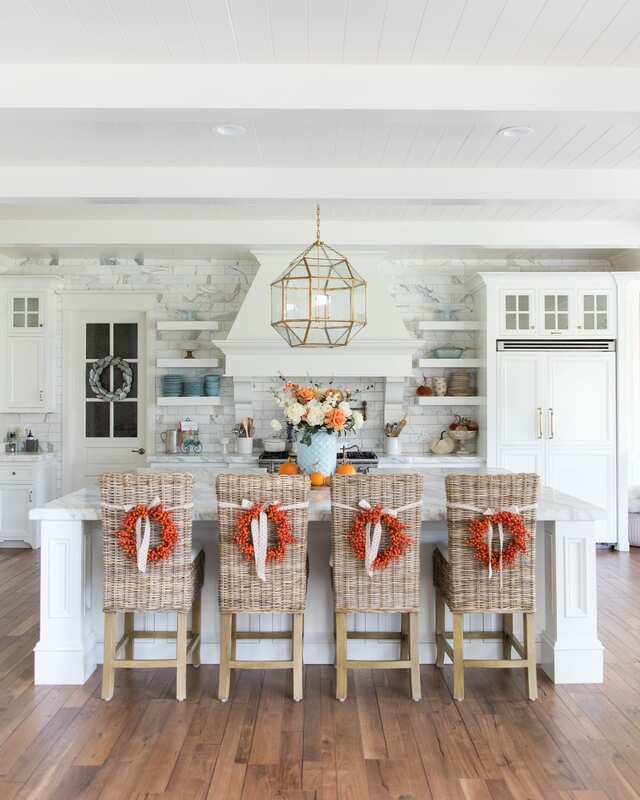 Holliday does a great job using neutrals and earth tones and brings the outdoors inside with these creative ways to style her home. 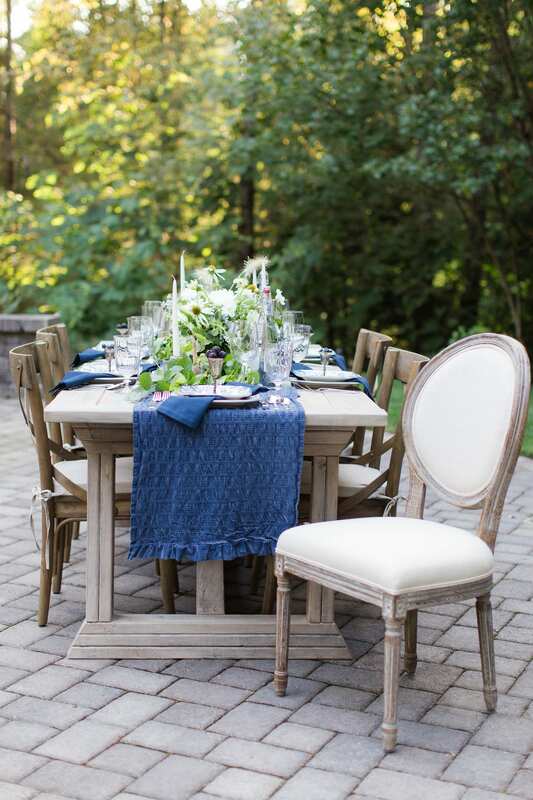 Here are a two of her recent blog posts with some great fall tablescape and home decor ideas. For her coffee table, Holliday used branches from her chokecherry tree and some pinecones. I am a big fan of using things you can find in your own yard or outdoor surroundings. 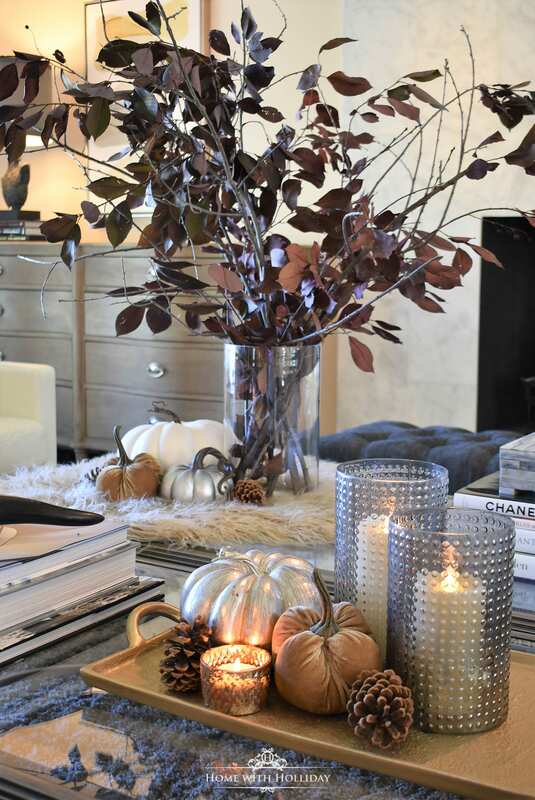 The candles, velvet pumpkins, and the faux fur piece bring texture and color to the space. Holliday is so great at using different textures to make it interesting and unique. Using items from your own yard is creative and cost effective! To get more details click the link below. Now meet Lory! She is the creator of To Have to Host. She is also the owner of too many napkins! We figured out that we had that in common! Lory has an amazing sense of style and uses bright and beautiful color combinations to create the perfect supper table. Here Lory created a harvest themed outdoor tablescape using traditional autumn decor. 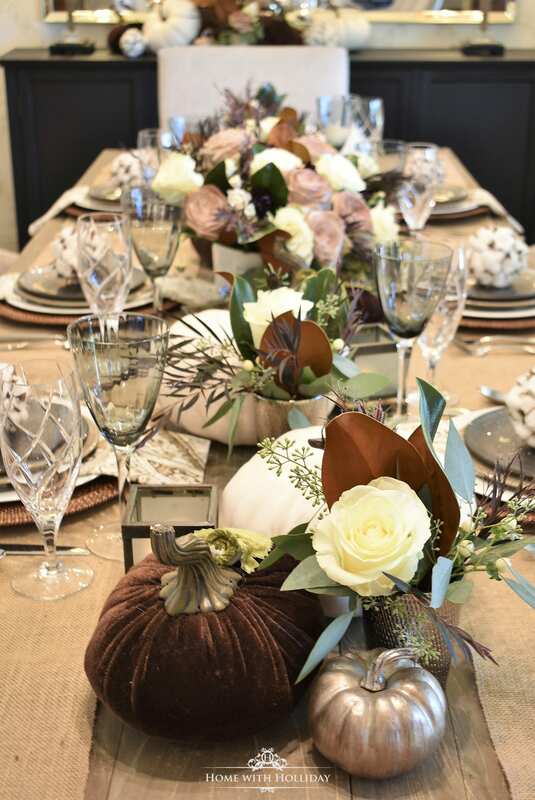 She used pumpkins, leaves, and fresh florals with jewel tones. The colors are spectacular! 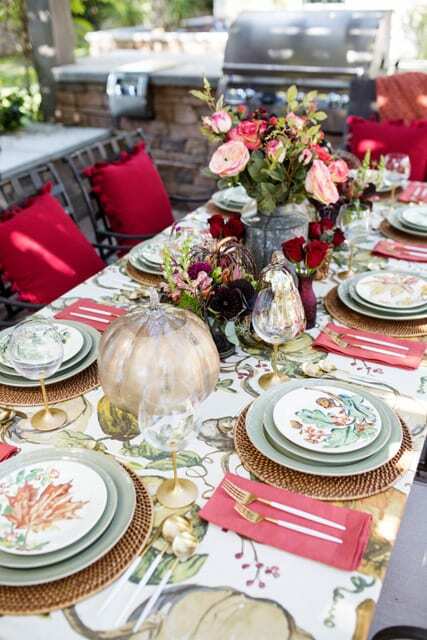 The dinnerware she chose is so pretty and pairs well with the other colors. I love how she brought the party outdoors! Thanks for visiting our first blog hop for Holiday Hosting at Home. 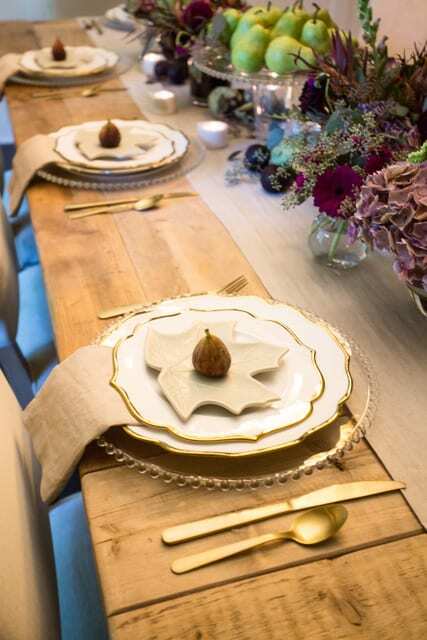 The holidays are approaching, and we are very excited about sharing more tablescapes, entertaining, and decor ideas for you in the coming months. Please let us know if there is anything you are interested in seeing from us as we approach Thanksgiving and Christmas! Thank you so much Lory! I am excited too be joining up with you and the other Holly too! It has been so great getting to know you and sharing our love of entertaining! You do beautiful work and I love all your creative ideas! I hope we can all get together someday and you can be a guest at my table! Wouldn’t that be so fun! Love this series on tablescapes! Your color and style still remain my favorite. I often try to imitate it in my home. Thank you for always lending a cheerful and friendly note to all your posts! Thank you Jean! You are always so supportive and kind in and I appreciate you following along! That makes me so happy that it inspires you to create your own tablescapes and home decor!